Bali ATV Ride and Ubud Tour is a piece of Bali Combination Tour Packages we composed by permitted you to riding ATV / Buggy bicycle to the beaten track and afterward keep on investigating the excellence of vacationer end of the line in Ubud town. Is extraordinary open door we offer to make your vacation more impressive by investigate this islands in the way your never envision previously by riding the powerful ATV bicycle and afterward going to the best places of premium worth to visit in Ubud town amid your vacation in Bali Islands. To begin with excursion in this combo outing is riding the ATV bicycle through the track officially arranged for your experience by provide for you dazzling background, amid the ATV ride you passed the nearby Balinese town and see the extraordinary social every day exercises life and see the lovely perspective of rice paddy, is incredible endeavor you will have. The ATV bicycle we give in this Bali ATV Ride and Ubud Tour bundles is the single bicycle and for coupled bicycle is available focused around solicitation. After ATV ride complete we will go to nearby restaurant for eating Indonesian sustenance, then after completion lunch the visits will keep on visiting the Ubud Monkey Forest, is little woodland with stunning monkey inside and some sanctuary. At that point keep on investigating the Ubud Royal Palace and Ubud Art Market. The following is short depiction of the combo outing bundles we offer for your vacation. Bali ATV Ride Tour is a piece of Bali Adventure Tour Packages we have by permitted you to ride the ATV bicycle or referred to additionally as a Buggy Bike for 2 hours trek to the beaten track and see the entrancing perspective amid the trip. You will experience with the perspective of rice patio and see the special every day social exercises life in nearby town close to the track. The ATV guide will lead your escapade and will offer his best service to make you more helpful in this atv ride journey. Take picture as much as you like and is free, you can stop at whatever you want during this ATV Ride Adventure Tour. 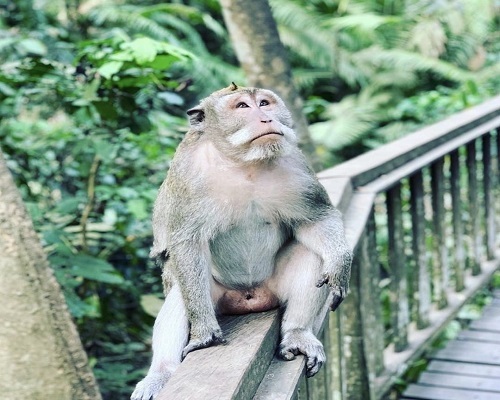 The sacred sanctuary of Monkey Forest is located on the southern border of Ubud town around 3 kms south of central town with a leading road also with the name of Monkey Forest. The presence of sacred forest is a demonstration of the harmonious coexistence of humans and nature. In Bali, sanctuaries such as the Ubud Monkey Forest sanctuary are usually in sacred village areas, often surrounded by temples. These cultural sanctuaries are not only an important part of Balinese heritage, but also an important part of everyday live. Ubud Art Market where the presence is not far not quite the same as different markets accessible in the tourism range. Ubud Art Market as a general public financial matters focus of Ubud. The business is unfolding from west to easterly separated turn into two gathering with distinctive reason. There are two market accessible at the same range those are one square at the Westside is for a conventional masterful business sector and an alternate piece placed in the east as a regular customary crucial business necessity.